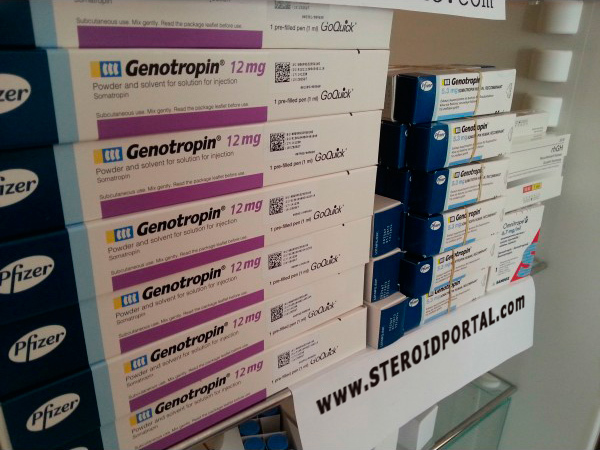 Genotropin, also commonly referred to as human growth hormone (HGH), is a hormone that is produced in the human body and excreted into the blood by the somatotrope cells of the anterior pituitary gland. It is a single-chain protein that is composed of 191 amino acids with a molecular weight of approximately 22,000 Daltons. GH secretion has many direct and indirect effects on the human body. 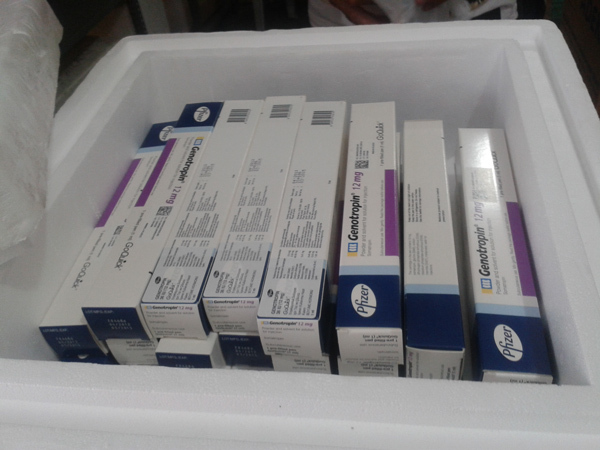 First, GH stimulates the liver's production of insulin-like growth factor (IGH-1). Because GH stimulates the liver's production of IGF-1, the effects of both GH and IGF-1 are listed below. Synthetic version of Human Growth Hormone is called Somatropin (191 amino acid sequence growth hormone). Somatropin is identical to human body's own GH. Genotropin (Somatotropin; generic name Human Growth Hormone) by Pfizer is used for: Growth Hormone Deficiency, Treatment for small gestational age (SGA) and intrauterine growth retardation (IUGR), Idiopathic Short Stature, AIDS Wasting and Cachexia, Short Stature Caused by Turner's Syndrome, Short Stature Caused by Prader-Willi Syndrome, Growth Problems Caused by Short Bowel Syndrome, Improper Growth in Children with Renal Disease, Body Building Enhancement Drug, Weight Loss Drug, Anti-Aging Drug, Treatment for Children with Rheumatoid Arthritis, Osteoporosis Treatment, Teatment for Children with X-Linked Hypophosphatemic Rickets (XLH).